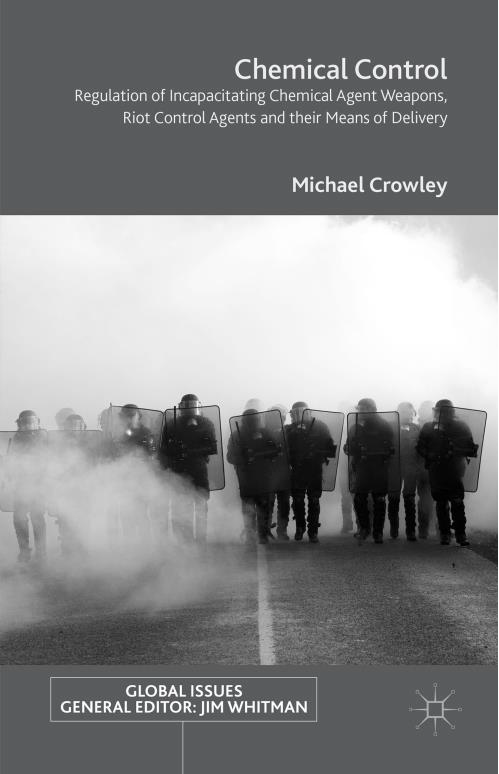 Incorporating a wealth of new information from around the world, this study concerns contemporary research, development, promotion and deployment of weapons employing two distinct types of toxic chemicals: riot control agents and incapacitating chemical agents. Dr Crowley highlights the international community’s failure to effectively regulate these weapons, and the consequences for human rights and human security. Employing an innovative ‘holistic arms control’ methodology, the author analyses regulatory systems and the international law potentially applicable to such weapons in order to develop effective routes to combat their misuse. In addition to State-centric mechanisms, the increasingly important roles of the scientific and medical communities, and informed activist civil society, are explored. This entry was posted in Governance, Science and Technology. Bookmark the permalink.